Drama is heckled by a furniture delivery guy in the streets of Los Angeles after a painting exercise with Gary Busey leaves his skin a dull blue color. The part of the mover is played by Windell Middlebrooks, a native to Fort Worth, Texas. 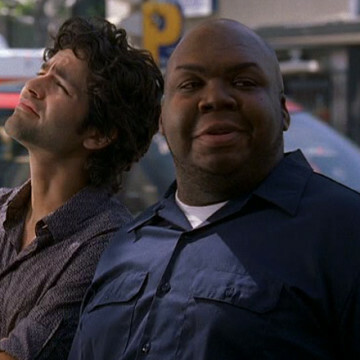 One of Windell’s last roles was as Reggie in Adam Carolla’s Road Hard as he passed away in 2015 at the age of 36.